How Google ranks its search pages has evolved a great deal from the early keyword-focused days. Now, countless factors large and small go into a page’s placement in search results. As Google continues to refine and improve its formulas, those of us who practice SEO (search engine optimization) marketing can sometimes feel left out of the loop. Fortunately, resources exist to help stay on top of developments and trends in search engine marketing. Since 2012, SearchMetrics has released yearly reports on their SEO Ranking Factors Study. These exhaustive analyses look at the top results for over 10,000 keywords to deduce how Google’s ranking algorithms have changed from previous years. By looking at the data in this report, we can learn what patterns carry over, what new trends are emerging, and how we can use these developments (or lack thereof) to refine our own SEO marketing practices. The 2015 SearchMetrics report has been released. So let’s take a look at how SEO marketing is going to shape up for the coming year. In 2014, keyword-laden domain names made up only nine percent of the top 30 search results for a given term. This year, that number is down to six percent. Part of this is due to Google’s algorithms paying more attention to the main body of a page and less to its headlines. It is also a shift towards homepages. The shortest URLs are those for a website’s main page, and this means that creating a quality landing experience for users is going to be more important than ever. 2015 is the first year that SearchMetrics has tracked the font size of the websites their study covers. What they’ve found is that the average font size for the top-ranking websites is 12-14 points. This finding makes sense, especially when you consider the immense variety of screen sizes found on the different devices people use to get online. Regardless of whether you adopt a uniform font size for your site or allow for users to switch sizes to their preference, keep in mind that smaller screens benefit more from larger fonts. In the age of Twitter, it might make sense to assume that people prefer their content in short chunks. But the SearchMetrics findings beg to differ. The average word count on HTML pages has risen 25% since 2014 and the top-ranking pages have a word count averaging 1,140. Perhaps more importantly, the extra words are not just filler. Instead, the top-ranking web pages offer more nuanced, complex, and holistic content to be more informative to their audiences. The top-ranking web sites experience longer, more click-filled visits. This is likely a sign of correlation rather than causation, but it suggests a few trends that you can take advantage of for your own SEO marketing. For instance, long-form and high-quality content engages the reader and makes them stay on-site. Embedding videos rather than external links not only makes viewing the content easier, but it also holds attention on the page itself. By being efficient with how your content is arranged and web pages are interlinked, you can improve the amount of time your audience spends on your site. Due to how easy backlinks are to manipulate, their importance to SEO ranking has been decreasing in recent years. However, this does not mean they can be discounted entirely. By looking at the backlinks on the top-ranking SearchMetrics pages, we can learn about what factors can influence a site’s success. For instance, pages that rank in the top four slots tend to have older backlinks. This suggests a level of age and established presence and authority. Meanwhile, pages with backlinks from news sites tend to fall in the middle of search rankings. What this means is that Google’s algorithms look for established authority first, and current content and relevancy as a close second. Obviously, you cannot immediately create long-standing, established content. Instead, what your SEO marketing strategy can do is focus on being current with relevant sources of information, which will over time turn you into a long-standing and established authority. Google has always said that their search rankings aren’t directly influenced by signals from social media. While there is no reason to doubt this, you also can’t discount that many of the top-ranked sites have a lot of social media integration like Twitter feeds, Pinterest pins, and the Facebook Like button. This is probably a cause of correlation rather than causation, but is still worth keeping in mind. Web sites that leverage social media marketing and stay engaged across all platforms while producing regular content will naturally have a more interested audience and a higher search rank as a result. The social signals don’t cause the high SEO ranking; instead they represent an active and current web site that’s popular with its audience. Interactive functions, concise meta descriptions, and HTTPS encryption are all factored in to SEO rankings. These elements may be less obvious than others you target as part of SEO marketing, but they represent a level of sophistication that enhances the user experience. Pages that are easy to read and interact with are more popular. So technical elements that help organize and frame your content will result in more views. In May 2015, Google announced that “More Google searches take place on mobile devices than on computers in 10 countries including the US and Japan.” This increased shift towards mobile devices means that any successful SEO marketing plan must include mobile-friendly page design. This pushes concepts like responsive designs, minimal external links, larger fonts, and short URL length (some of which we’ve already covered) to the top of the list on what pages need to be popular. Remember, it doesn’t matter how great your content is if it’s a pain to read. Similar to backlinks, keywords used to be the cornerstone of SEO. However, they are too easy to manipulate and have been in declining importance as Google refines its programs. Quality content of a holistic nature gets better results, even if it has a low keyword count. Instead, relevancy and proof terms (common words that appear across most articles on the subject) are focused on. This means that a page can have few keywords, but be ranked highly due to a large amount of relevant phrases and semantic depth. While not as easy to “game” as keywords, catering to this model with content is easy. All you have to do is write informative content that sounds like you know what you’re talking about. 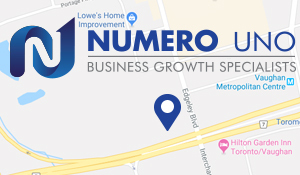 Numero Uno is a provider of Search Engine Optimization and marketing solutions for businesses of all sizes and across all industries. We stay on the pulse of industry changes and adapt our practices to produce quality SEO plans to fuel the growth of businesses across communities. Click here to learn more about SEO techniques and how we can help improve your search profile.